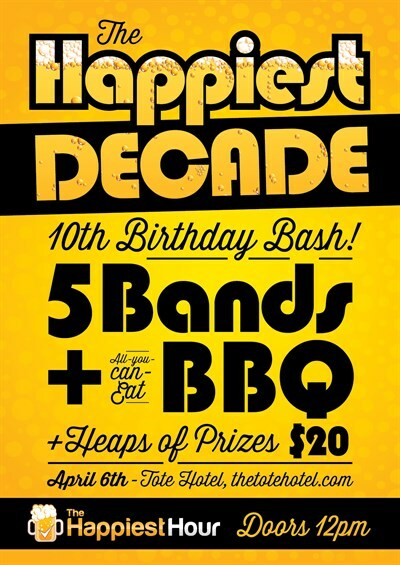 he Happiest Decade - The Tote Hotel - 6th April, 12pm - 8pm. 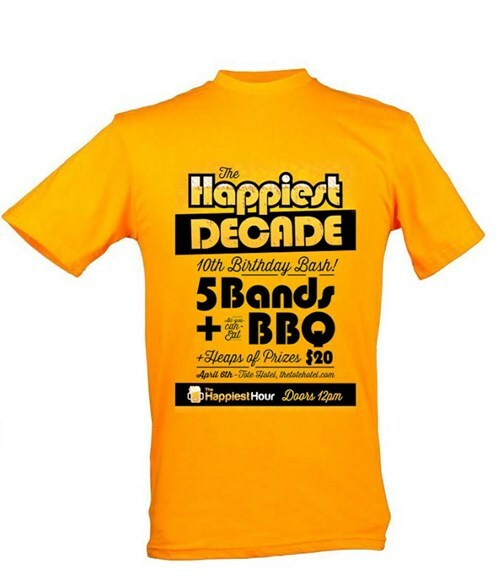 TheHappiestHour has been helping people find the best value food and drink deals since 2004…and now it’s time to celebrate! Join us at one of our favourite pubs for a day of bands, bbq and passive raucousness! We start with the rockabilly wonder kid Adrian Whyte, who will start the band room a-rockin ...cradle style. 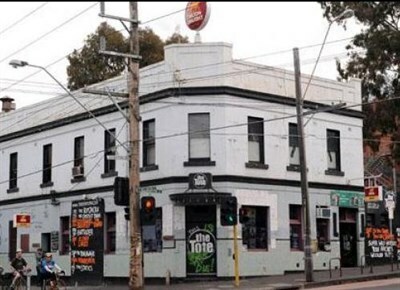 Followed by Backwood Creatures, the Melbourne-based swamp-blues act that boast a huge loving local following. Then it’s time for Large Number 12s, the cult rock band named after a pizza. How could you not love a band named after a pizza? Then we change the pace with one of our favourite folk bands, Fiig. A fledgling group, who convey stories like all musicians should. Then it’s time for Straylove, where modern industrial music bursts from inside a Rock 'n' Roll framework. Yes that’s two identical twins you see up there. Some of our favorites direct to you! The day will also be full of prizes as our food/drink industry friends join the party by giving us free stuff! Just look for the peeps in these shirts! Oh yeah and it’s all-you-can-eat BBQ too (vego options available). Good quality stuff, cos that’s what we’ve always been about! Tickets are just $20 (5 bands + All-you-can-eat BBQ) and will be on sale late Jan.